This fable is often attributed to Aesop but it actually seems to have written around the 12th century in England or France. 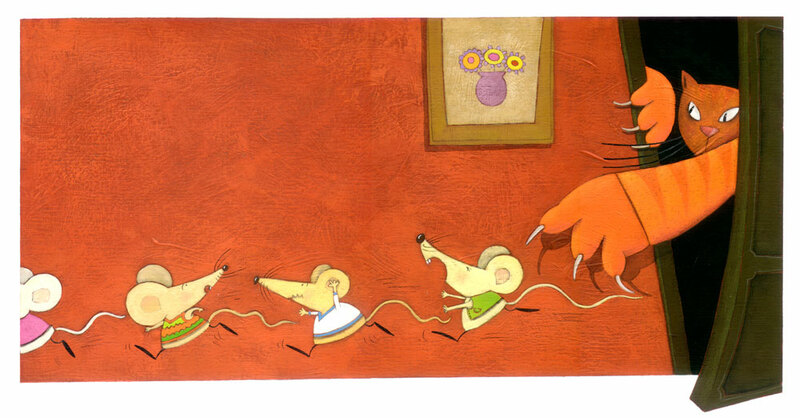 Everyone loved this idea and congratulated the young mouse on his brains and initiative. 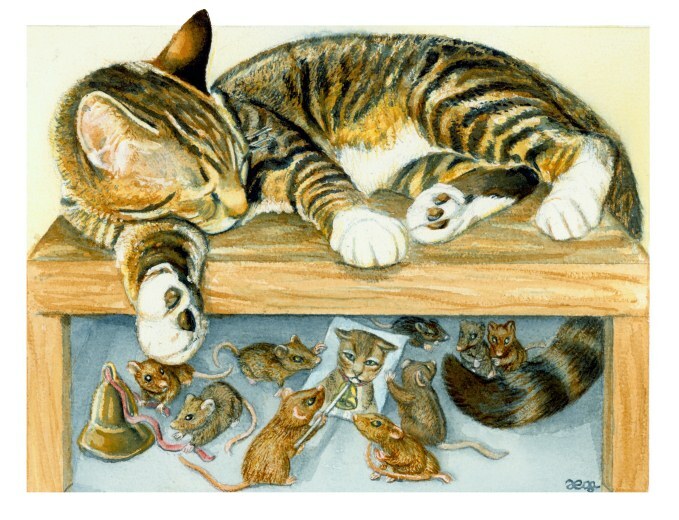 It was agreed he would have a great future in the mouse community. 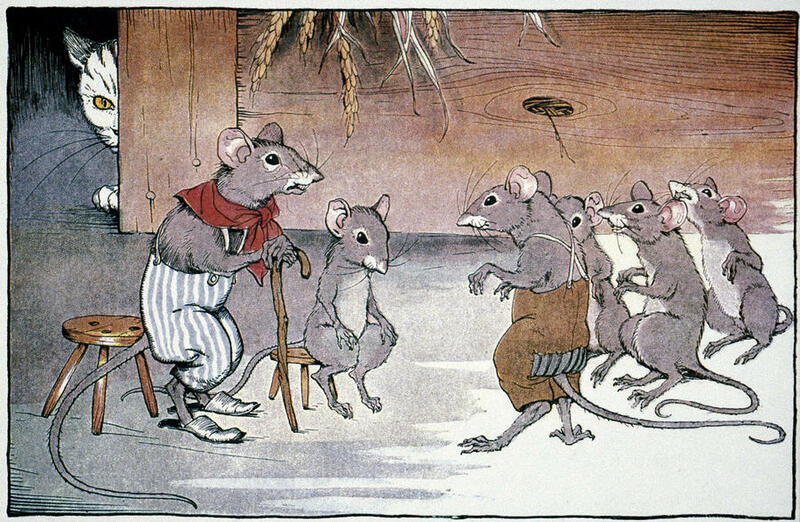 While the council celebrated a successful meeting an old mouse stepped forward and offered some of his wisdom. No one volunteered, the celebration subsided and the council got back to its discussion. One moral of this story points out the fundamental difference between ideas and their feasibility. From a mystical point of view we all want to see a perfect world and have a perfect life, but are we willing to do what it takes to bring it about? A similar story is found in the Bible. A young man comes to the Master and asks how he can be perfected. The Master tells him to love God, follow all the teachings of the law, and be useful and beneficial to all those who need him. The young man asserts that he has done all this and more all his life but now he wants to be perfected. The Master says, “if you really want to be perfected, sell all you have and give the money to the poor that you might have treasures in Heaven and then come and follow me.” The young man silently turns and walks away, for he was very rich.